This article is about the queen consort of England. For the Princess of Achaea and Taranto and titular Latin Empress, see Catherine II, Latin Empress. Catherine of Valois (27 October 1401 – 3 January 1437) was the queen consort of England from 1420 until 1422. A daughter of Charles VI of France, she married Henry V of England, and gave birth to his heir Henry VI of England. Her liaison (and possible secret marriage) with Owen Tudor proved the springboard of that family's fortunes, eventually leading to their grandson's elevation as Henry VII of England. Catherine's older sister Isabella was queen of England from 1396 until 1399, as the child bride of Richard II. Catherine of Valois was the youngest daughter of King Charles VI of France and his wife Isabeau of Bavaria. She was born at the Hôtel Saint-Pol (a royal palace in Paris) on 27 October 1401. Early on, there had been a discussion of marrying her to the prince of Wales, son of Henry IV of England, but the king died before negotiations could begin. In 1414, the prince, now Henry V, re-opened discussion of the match, along with a large dowry and acknowledgement of his right to the throne of France (see English Kings of France). While some authors have maintained that Catherine was neglected as a child by her mother, a more modern examination of the evidence suggests otherwise. According to the financial accounts of her mother, toys befitting a French princess were purchased, religious texts were provided, and Catherine was sent to the convent in Poissy to receive a religious education. Henry V went to war with France, and even after the great English victory at Agincourt, plans for the marriage continued. Catherine was said to be very attractive and when Henry finally met her at Meulan, he became enamoured. 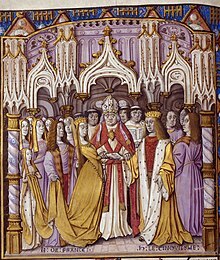 In May 1420, a peace agreement was made between England and France, the Treaty of Troyes, and Charles acknowledged Henry of England as his heir. Catherine and Henry were married at the Parish Church of St John or at Troyes Cathedral on 2 June 1420. Catherine went to England with her new husband and was crowned queen in Westminster Abbey on 23 February 1421. In June 1421, Henry returned to France to continue his military campaigns. 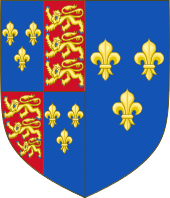 By this time, Catherine was several months pregnant and gave birth to a son named Henry on 6 December 1421 at Windsor. Her husband never saw their child. During the siege of Meaux, he became sick with dysentery and died on 31 August 1422, just before his 36th birthday. Catherine was not quite 21 and was left a queen dowager. Charles VI died a couple of months after Henry V, making the young Henry VI king of England and English-occupied northern France. Catherine doted on her son during his early childhood. Catherine was still young and marriageable, a source of concern to her brother-in-law Humphrey, Duke of Gloucester, the guardian of her son. Rumours abounded that Catherine planned to marry Edmund Beaufort, Count of Mortain, her late husband's cousin. The Duke of Gloucester was strongly against the match, however, and the Parliament of 1427–8 passed a bill which set forth the provision that if the queen dowager remarried without the king's consent, her husband would forfeit his lands and possessions, although any children of the marriage would not suffer punishment. The king's consent was contingent upon his having attained his majority. At that time, the king was only six years old. 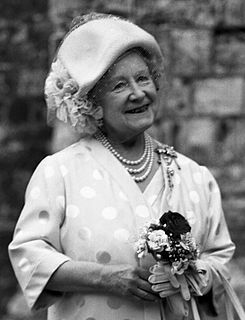 Catherine lived in the king's household, presumably so she could care for her young son, but the arrangement also enabled the councillors to watch over the queen dowager herself. Nevertheless, Catherine entered into a sexual relationship with Welshman Owen ap Maredudd ap Tudor, who, in 1421, in France, had been in the service of Henry V's steward Sir Walter Hungerford. Tudor was probably appointed keeper of Catherine's household or wardrobe. The relationship began when Catherine lived at Windsor Castle, and she became pregnant with their first child there. At some point, she stopped living in the King's household and in May 1432 Parliament granted Owen the rights of an Englishman. This was important because of Henry IV's laws limiting the rights of Welshmen. There is no clear evidence that Catherine of Valois and Owen Tudor actually were married. No documentation of such a marriage exists. Moreover, even if they had been married, the question arises whether the marriage would have been lawful, given the Act of 1428. At the same time, there is no contemporaneous evidence that the validity of the marriage and the legitimacy of her children were questioned in secular or canon law. From the relationship of Owen Tudor and Queen Catherine descended the Tudor dynasty of England, starting with King Henry VII. Tudor historians asserted that Owen and Catherine had been married, for their lawful marriage would add respectability and stronger royal ties to the claims of the Tudor dynasty. Owen and Catherine had at least six children. Edmund, Jasper and Owen were all born away from court. They had one daughter, Margaret, who became a nun and died young. Catherine died on 3 January 1437, shortly after childbirth, in London, and was buried in Westminster Abbey. While the death date is not in question the cause is, with an equal number of records stating that she did not die a result of childbirth, but entered Bermondsey Abbey, possibly seeking a cure for an illness that had troubled her for some time. She made her will just three days before her death. She now rests at Westminster Abbey in Henry V's Chantry Chapel. After her death, Catherine's enemies decided to proceed against Owen for violating the law of the remarriage of the queen dowager. Owen appeared before the Council, was subsequently arrested, and taken to Newgate Prison. He tried to escape from Newgate Prison in early 1438 and eventually ended up at Windsor Castle in July of that year. Meanwhile, Owen and Catherine's two older sons, Edmund and Jasper, went to live with Katherine de la Pole, Abbess of Barking and sister of William de la Pole, 1st Duke of Suffolk. Sometime after 1442, the king (their half-brother) took a role in their upbringing. Owen, their father, was eventually released on £2000 bail, but was pardoned in November 1439 (and the bail cancelled in 1440). Owen was treated well afterwards and was a member of the king's household until the mid-1450s. He lived until 1461, when he was executed by the Yorkists following the Battle of Mortimer's Cross in Herefordshire. 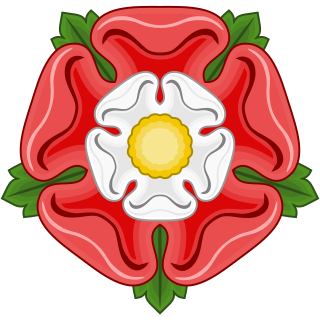 Their sons were given earldoms by Catherine's son King Henry VI. 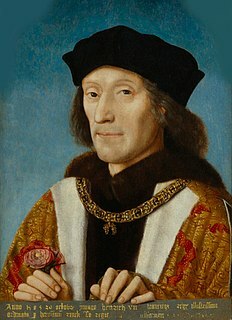 Edmund married Margaret Beaufort, a descendant of John of Gaunt who had consequently a distant claim to the throne; following the elimination by war of most other candidates, their son became King Henry VII. Catherine's remains were not properly re-interred until the reign of Queen Victoria. Margaret Frazer's medieval mystery "The Boy's Tale" (1995) features Catherine and her sons Edmund and Jasper. In The Queen's Secret by Jean Plaidy, Catherine is the title character. In the historical novel, Fortune Made His Sword by Martha Rofheart, Catherine is one of five narrators who tell the story of Henry V.
Dedwydd Jones's novel,The Lily and the Dragon (2002) tells the story of Owain Tudor and Catherine of Valois. Joanna Hickson's novel The Agincourt Bride (2013) tells the story of the early life of Catherine of Valois. Anne O'Brien's novel The Forbidden Queen (2013) details the life of Catherine of Valois. Vanora Bennett's novel Blood Royal/The Queen's Lover (2009) tells the story of Catherine's early years through her secret marriage to Owen Tudor. Mari Griffith's novel "Root of the Tudor Rose"(2014) is the story of Catherine's brief marriage to Henry V and her subsequent clandestine relationship with Owain ap Maredydd ap Tudur. Rosemary Anne Sisson's play "The Queen and the Welshman" (1957) tells the story of Catherine de Valois and Owen Tudor. ^ The Cambridge historical encyclopedia of Great Britain and Ireland, Ed. Christopher Haigh, (Cambridge University Press, 2000) , 345. ^ Williams, Neville and Antonia Fraser, The Tudors, (University of California Press, 2000), 19. ^ Historical dictionary of late medieval England, 1272–1485, Editors Ronald H. Fritze, William Baxter Robison, (Greenwood Publishing Group, 1992), 94. ^ Strickland, Agnes (1840). Queens of England. London: Su Stackland. p. 264. ^ Gibbon, Rachel (December 1996). "Isabeau of Bavaria, Queen of France (1385–1422): The Creation of an Historical Villainess: The Alexander Prize Essay". Transactions of the Royal Historical Society. 6: 51–63. doi:10.2307/3679229. ^ Fields, Bertram (1998). Royal Blood: Richard III and the Mystery of the Princes. New York: Regan Books. ISBN 0-06-039269-X. ^ Chrimes, S. B. (1980). "The Reign of Henry VI: Some Recent Contributions". Welsh History Review. 10 (1): 320–333. ISSN 0043-2431. ^ a b Chrimes 1999, p. 9-10. Wikimedia Commons has media related to Catherine of Valois. "Catherine of Valois" . Encyclopædia Britannica. 5 (11th ed.). 1911.